Devils Heat is a slot with 5 reels, 3 rows, 10 winning lines, wild symbols, scatter and lots of free spins. To start the game you need to make a bet: the minimum is 0.10 credit, and the maximum is 100 credits. You can change the number of coins on each active line using the – / + buttons at the bottom of the screen. To receive payment, you need to catch at least 3 characters in one of the lines. Pay attention to the Wild symbol, which multiplies the winnings in each combination where it appeared, and also replaces the simple symbols. Also you will see the symbol Scatter, which looks like a heart. If you can catch at least 3 of these characters, you will receive 10 free spins as a reward. 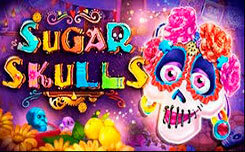 During this function, all winnings will be multiplied by 2 times. Also in Devil’s Heat you will play at risk. In it, you can try to guess the color of the card and either double your payout or lose your winnings. The game has an interesting feature: when the handsome Lovelace and the searing girl with the red hair fall out side by side, the players get a solid win.